1. work was a nightmare this week...so. many. problems. My favorite was having to go and break up a picnic one of the crossing guards I recently hired was having on a corner. Why, I asked her. Because, she said, the sun was shining and I felt like it. And then she offered me a cookie. In exchange I offered her a drug test. 2. lunch with a friend at the food trucks. Sweet potato fries make everything better. 3. 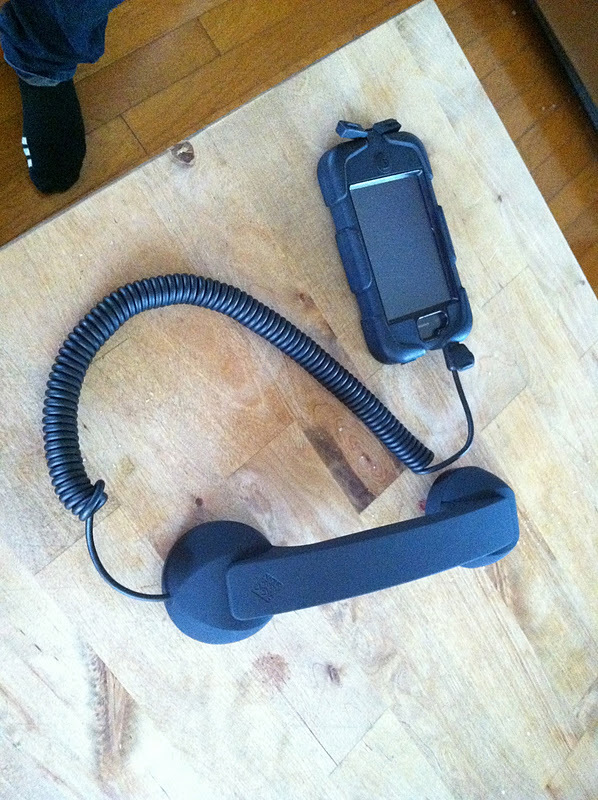 Alex spent some of his Christmas money on a handset for his iPhone. He kills me. He walks around talking on it and people just stare...too funny. 5. A 5 mile hike on Friday morning and I am SO sore...but there's something about a long hike with a friend that just grounds me. So much cheaper than therapy...and more fun. 6. A very special date with that guy that I like so much. 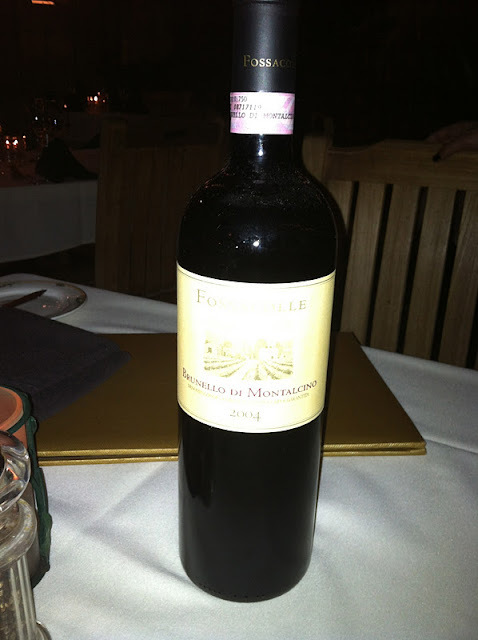 We had brought a wine (a brunello!) home from Italy for our 25th anniversary and never got around to drinking it, so we brought it with us last night to The Bungalow...a really great restaurant in Corona Del Mar. We sat on the beautiful outdoor patio by the fireplace and had a most amazing meal...followed by a walk around Balboa Island. It was one of those dreamy evenings that we needed. So blessed. 7. Alex's current basketball picture from the paper. And yep, he made the basket. I love his happy face! 8. 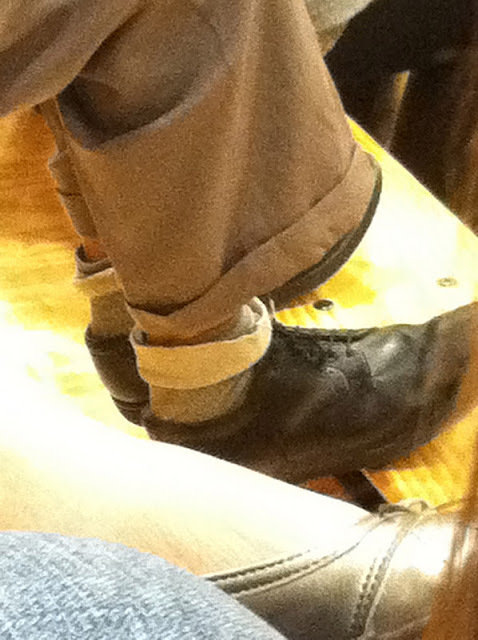 The gentleman sitting near me...well, he needs new socks. 9. One of my very favorite things...a huge hunk o' parmigiano reggiano cheese on the table after supper. The norm for us is to sit at our table for an hour or two every night...just hanging out and munching on little bits of cheese while listening to Frank and Dean and Nat and Rosemary and Judy. 10. Matthew has a concert today, so we are going to that. Alex is at practice and Brian has team pictures. In between, mountains of laundry and a Costco run because we (well...not me) somehow managed to blow through 6 gallons of milk and 36 eggs since last Friday. Not even sure a farm would be able to keep up with my houseful of boys! Happy Saturday...what are your weekend plans?